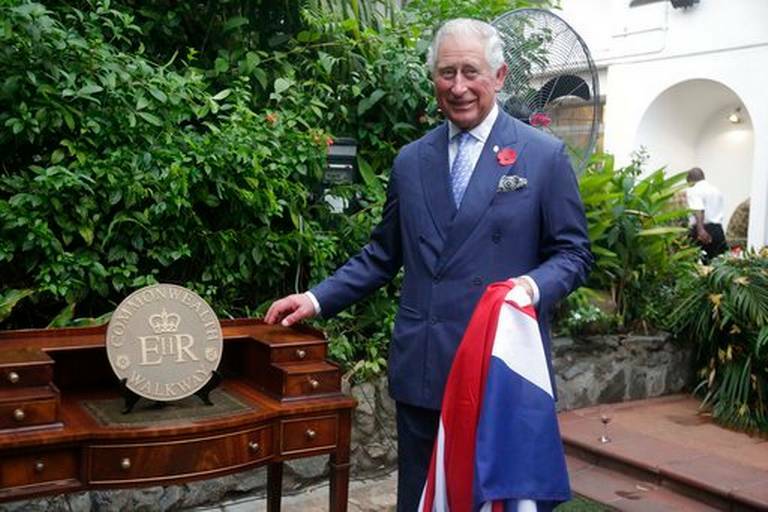 His Royal Highness The Prince of Wales today unveiled the first marker for the Nigerian Commonwealth Walkway. The Chairman of the Nigerian Walkway Committee, Olasupo Shasore SAN, kindly arranged the event in partnership with the Deputy High Commissioner, who hosted the unveiling in Lagos. Some of the city’s leading politicians and former heads of state were also at the reception and Prince Charles encouraged them to support the initiative. The Trust visited Lagos in September and met with engineers from LAMATA (the Lagos Area Metropolitan Transport Authority) to explore options for upgrading the quality of the Walkway route on Lagos Island. In particular, there is a section of the Walkway that currently does not have a sidewalk (between City Hall and Kings College Boys School) and this is now to be built. The Trust looks forward to working with LAMATA to create a safer, more accessible sidewalk.